Adil Anwar and Hamed Ghaz have been putting each other through their paces at their gym at Burmantofts in Leeds. Ghaz’s fight is on 1st September at Elland Road against 29-year-old Fonz Alexender as the Bradford man looks to add another victory to his impeccable record. Since turning professional at the ripe age of 18 the light welterweight has a perfect record of ten wins (two by KO). The 21-year-old is looking to get two or three wins under his belt with coach Mark Bateson in the hope of a British title shot in the future. “This is the best camp we’ve done so far and I’m in great shape. “I’m looking forward to seeing Hamed get out there. He’s been training hard and it’ll be great to see him in action. 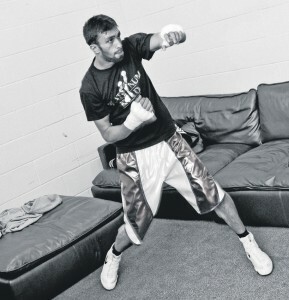 The 30-year-old is also training hard as he looks for his next opponent following his defeat to Jose Del Rio in Spain. With a record of 22 wins (eight by KO) and seven defeats Adil is extremely keen to get back in the ring and prove his qualities. For ticket enquiries contact Hamed Ghaz on Facebook. 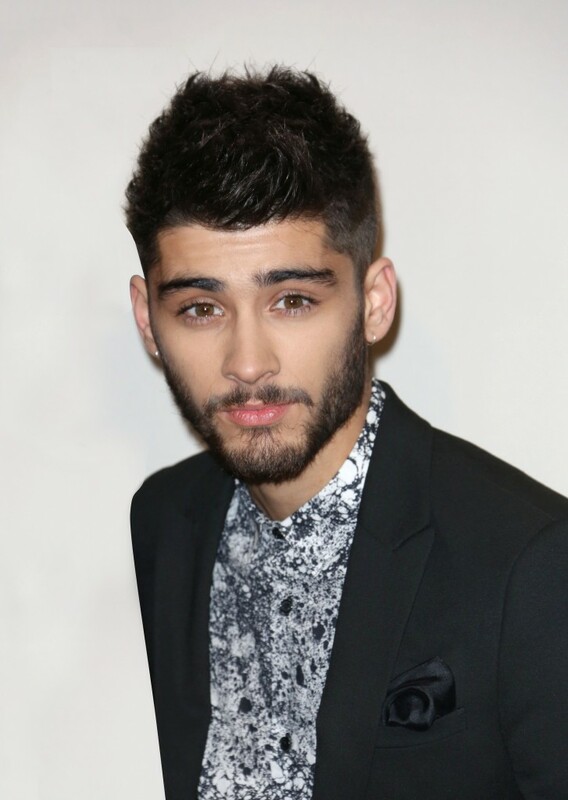 Zayn Malik probably knew his protest tweet was the right decision and would cause a stir when he fired it off to his 13 million followers. The hashtag has been trending for weeks now, and Zayn hit a massive 130,000 retweets and 138,000 favourites in a matter of minutes, and within 24 hours accumulated 230,000 retweets and favourites. The popstar's dedicated fans are an engaged bunch on social media. Even a simple smiley emoticon issued from his account clocks up 180,000 retweets. However, it soon became apparent that not everyone agreed with his sentiments on Palestine, as it’s earned the young singer rebukes, abuse and even death threats. Angry Israeli fans have sent him some heavily furious and alarmingly violent responses calling for him to "kill himself" or to let them kill him instead. The death threats even came from former fans, such as this person who continued to tweet Malik and anyone supporting him. Of course, Malik isn’t the first famous face to tweet about the conflict. Rihanna forced a similar reaction when she posted #FreePalestine via her official account, only to delete it minutes later. The current Gaza conflict has resulted in the deaths of more than 1200 Palestinians and around 60 Israelis. It's also caused a spike in online abuse and arguments. Several racist hashtags have been trending for days. Many social media users are sharing graphic images of victims on both sides. Interestingly, many celebrities have been wary of commenting on the issue, spiking resentment and anger amongst their fan bases. Asian artists who have stepped forward and commented publically include England cricketer Moeen Ali, boxers Amir Khan and Adil Anwar, singers Usman Rehman, Shide Boss, Nafees, Bonafide, Kash Chaudhry, Nabz Chaudhry and dancers SonaAsh. After back-to-back defeats at the end of 2013, Adil Anwar’s flourishing boxing career took a huge body blow, yet now, with a full year ahead of him, he vows to come back stronger and better than ever before. At just 26-years-old, the ‘Platinum Kid’ certainly has time on his side, and his loyal followers will, no doubt, continue to support their Yorkshire battler. However, if he is ever to get back into contention for a British title, the Leeds ace will have to ensure 2014 begins in a different way than his previous year finished. He said: “2014 is a year to prove myself once again worthy of a British Title, I will be working harder than ever to achieve my goal. “I need to get back on track and prove to everyone that I am a great fighter and the set back is all a part of the journey. At the end of the day, you win some; you lose some, that's boxing for you. What matters is how you come back. “I'm determined to show the boxing world what I'm capable of doing. Last year didn't end how I wanted it to but that's all in the past. His loss at the hands of Simone Lucas in his last outing in September came as a shock to many in the boxing world, with the former Prizefighter winner losing on home soil to the Nottingham fighter. Since then, he has been forced to return to work, training alongside his day-job, yet it has only acted as motivation for Anwar, who vows to make it up to all his supporters and himself. “I want to show the local fans why they should continue supporting me and show them the difference that their support makes,” he said. “I have the most loyal supporters who have been there through the wins and the losses. 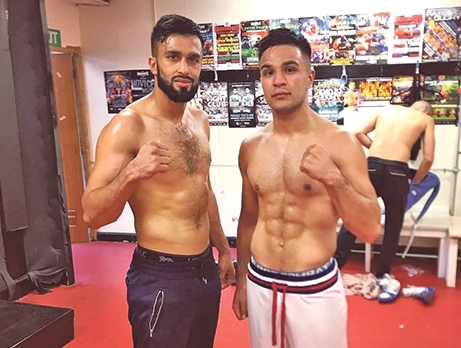 Anwar’s next bout is set to take place at the same venue where he suffered defeat last time out, at the Leeds United Banqueting Suite, Elland Road, on the 28th March. Despite no opponent yet being named, the light-welterweight boxer says he is ‘hungrier’ than ever before for victory, and knows that this fight is the perfect chance to kick-start his rise back to the top.